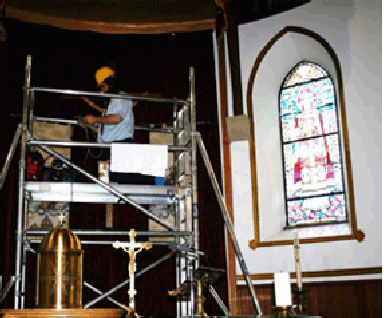 Highly specialised restoration of alter wood work and crucifixes, in respect of cracking, wood worm or other damage. We clean from the belfry to the floor and everything in between including ancient silks, alter drapes, specialist gilded items restoratively cleaned. All your specialist cleaning under one roof, high access no problem. We even dry clean and restore ancient antique robes and vestments, please phone for our courier service.